The red carpet unrolls, the paparazzi mount their step ladders, and Jean-Paul Belmondo and Anna Karina kiss above the Palais du Cinema under an azure sky. The talk in the build up to 71st Cannes Film Festival has been far less sunny. The controversial face-off with Netflix and the banning of selfies on the red carpet feel like the festival director Thierry Frémaux battling against modernity. Many journalists were especially upset with the shakeup of the screening schedule, designed to protect filmmakers from hostile critical reaction prior to the gala premiere of their films. But when all is said and done, the festival will sink or swim as a result of the films, so here are a few highlights we are looking forward to. There’s nothing like getting off to a good start, and Iranian Oscar winner Asghar Farhadi’s Madrid-set thriller Everybody Knows, starring real-life couple Javier Bardem and Penelope Cruz, has all the ingredients for some tasty auteur-driven cinema. Farhadi already has a reputation, thanks to past triumphs A Separation and The Salesman, for nuanced psychological portraits of relationships in crisis and programmers will be hoping the Iranian filmmaker kicks things off in style. The competition is marked by a broad geographical reach and a mix of familiar and not so familiar faces. Matteo Garrone is a regular attendee and his Dogman promises a gritty look at the dark regions of his native Italy, far from the flippant pizzazz of his missing countryman Paolo Sorrentino. The Italian contingent is further reinforced by the wonderful Alice Rohrwacher, whose coming of age beekeeping story The Wonders impressed back in 2014. Her third film, Happy As Lazzaro, returns her to a rustic setting to tell the tale of a simple-minded peasant, a young nobleman and a fake kidnapping. Chinese director Jia Zhangke follows up the critical successes of A Touch of Sin and Mountains May Depart with Ash Is the Purest White, the story of a violent love affair spanning sixteen years from 2001 to the present day against the backdrop of the criminal under world. He’ll be competing with Japanese auteur Hirokazu Kore-eda, whose Shoplifting is – like Jia’s – his fifth entry into the competition. Half of the competition line-up, however, are competing for the Palme d’Or for the first time. Among them is David Robert Mitchell, who follows It Follows with Under the Silver Lake, starring a demented Andrew Garfield deep-diving into conspiracy theories in search of a lost woman. The trailer has a dynamic vim and Mitchell looks like a worthy occupier of the big stage. As does his compatriot Spike Lee, who provides the only other American entry with BlacKkKlansman, a true story about the infiltration of the Klan by a black police detective in the 1970s. For Lee, it will represent a return to the Croisette for the first time since Do the Right Thing 25 years ago. Another of the returned is the controversial Lars von Trier, who saw himself declared “persona non grata” in one of the sillier controversies that Cannes occasional delights in. The House That Jack Built stars Matt Dillon as a serial killer in a 150-minute epic. From the director of Antichrist and Nymphomaniac, the film promises to ruffle feathers. Also showing out of competition is Nuri Bilge Ceylan’s The Pear Tree and Terry Gilliam’s The Man Who Killed Don Quixote. The first will be worth seeing because the Once Upon a Time in Anatolia director is an immense talent. 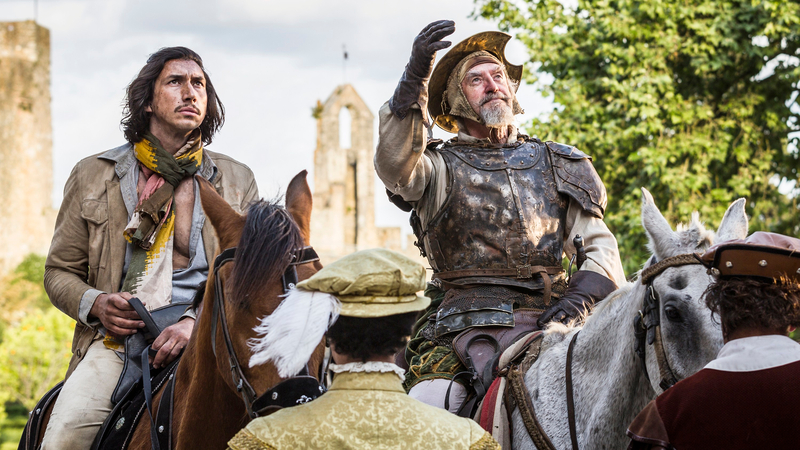 Given the travails involved in making the latter – as documented in The Man from La Mancha – the very existence of Gilliam’s new film is a miracle in itself. The 71st Cannes Film Festival takes place from 8-19 May. For other music festivals check out this festival guide.